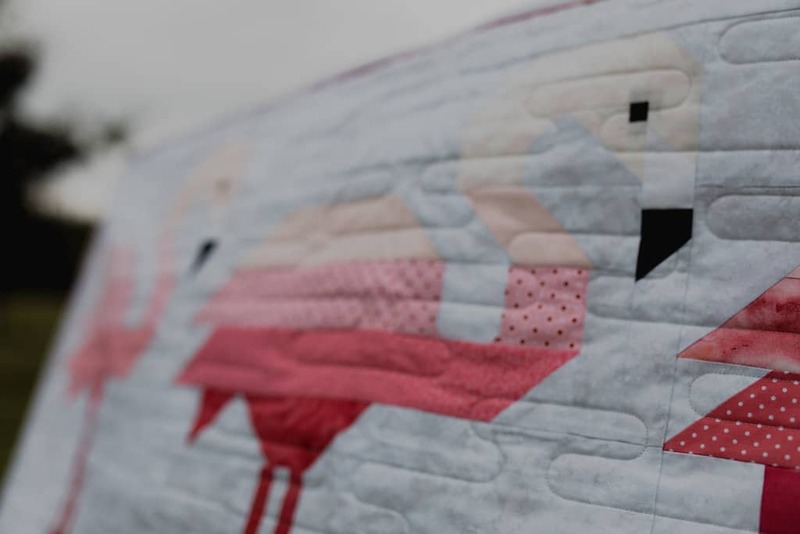 This adorable quilt pattern features large-scale flamingo blocks with adorable knobby knees. The blocks are pieced using conventional patchwork techniques. The blocks are made with 2 1/2″ fabric strips, making it perfect for using pre-cut rolls or scraps.